Over the years I've thrown my bed down in some pretty rememberable cow camps. Some were pretty bad and some were real neat places. It always amazed me how fast a camp will fall apart if it,s not used regularly. 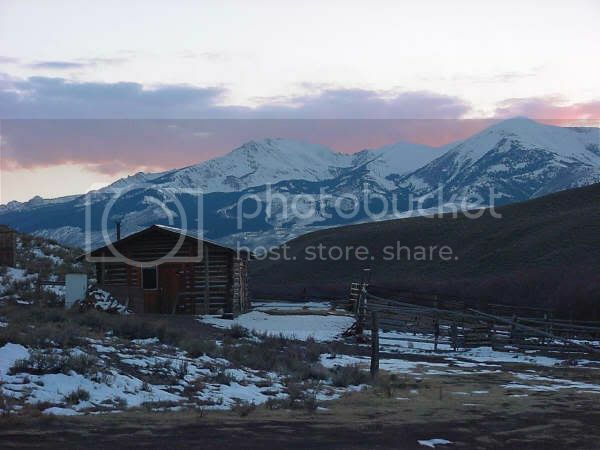 One of my favorites was the west camp on the old McMurtury ranch south of Nenzel NE. It was originally a one room school house that someone drug up against a set of hills east of Harding lake. There was a calving shed, a little barn and some wind break. The barn was basically big enough for a horse or two (too small to saddle up in) and a saddle rack. A couple of deer horns held bridles, halters and such. There was no electricity or water. You had to haul water from a windmill and there was a real neat kerosene lantern. There was only one bunk againest a wall with a gas stove AND a gas refrigerator. It was the only one I'd ever seen but I was always fasinated with it. What a concept! You had to light a flame to make ice. There was always alot of mice and skunks around with a good sprinkling of bull snakes. The mice kept the snakes fed and the skunks didn't bother much unless you dropped something heavy on the floor. It was mostly used as a calving camp but was a good port in a storm if you were in the area. Calved alot of cows at that camp and if there was two of you's there was some late night card games or chess under that smoking lantern. There's got to be some other Camp stories out there. A good wife, one good horse and a pickup that runs! Nenzel Nebraska....i was at the bar there once during New Years several years back.....just a little place. Also gas refridgerators...my gramma still uses one....an ole propane fridge. We had one in our house growing up but finally it went kaput about 10 years ago and they got a modern electric one. The one my gramma has she has had for near 50+ years i guess. Saddle Tramp, I had a great uncle who ranched north of Whitman Ne.. His name was Gorege Mall, have you heard of him. 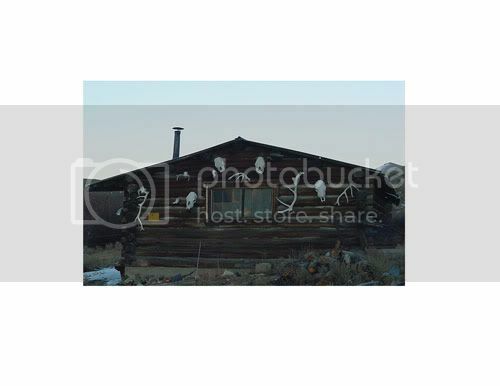 I'm looking for more information, I found his ranch and his 2 room cabin is still out there. No, I haven't heard of any Malls. I wonder where the place was located. Sorry I couldn't help. Gee, Saddletramp, that makes the cabin where I summer sound pretty good. It has a propane fridge, cold water running gravity flow to the sink, and solar panels to power the jumbo-tron television, otherwise known as a 9" B&W. There's a log barn too. Its a pretty comfortable camp. anyway which cowcamp in the bighorns. we have cowcamp set up here on the northern end. A few years ago, we had the opportunity to go visit a friend and stay at cow camp. I can understand why it's a favorite place. Only runnin water is a lil creek that runs in front of it. No electricity, no generator, only a wood cookstove and an outhouse a few yards from the cabin. It was alot of fun. Quietest place I think I've ever been on God's green earth. And it was gorgeous!!!! There are two cabins here. The one with all the antler sheads is the old one, the other one usta be the barn, but was later converted into a cabin, it has a propane fridgerator outside, and a gas stove inside. We stayed in the old one. Freeze to death? No, but I thought I was........chapped places that shouldn't get chapped. the_jersey_lilly_2000 wrote: ......chapped places that shouldn't get chapped. Oh sure, leave us hanging!